Brief Description: The name Larry Grayson will be instantly recognisable to anyone who can remember the 1970s when his catchphrase ‘Shut That Door’ was on everybody’s lips. However, Larry’s rise to fame was slow in coming, born of years of perfecting his craft in clubs and theatres across the country. This biography details Larry’s early life, how he was handed over as a baby to a miner's family in mysterious circumstances and brought up by his beloved foster sister, Flo, who was to become his lifelong companion. As a boy, encouraged by Flo, Larry would perform comedy routines for his school chums, standing on a tin bath in a wash-house yard, and he took his first steps into showbiz as a teenager with a local concert party. Seems Like a Nice Boy describes how, after a long career, Larry was eventually spotted by a top agent and set on the road to stardom, not only on stage but on television. Larry went on to host The Generation Game, attracting weekly audiences of around twenty million viewers and bringing Larry the kind of fame that he had always dreamed of. This fascinating book reveals how Larry Grayson’s determination to succeed turned him into one of Britain’s best-loved entertainers. 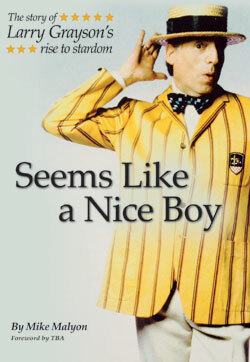 This is a must-have read for Larry Grayson fans and anyone who enjoys classic comedy from a bygone age. Special Note: This book is also available as an eBook. A previous edition of the paperback version carries the following ISBN: 978-1-782818-56-4. An previous edition of the eBook version carries the following ISBN: 978-1-782818-64-9. 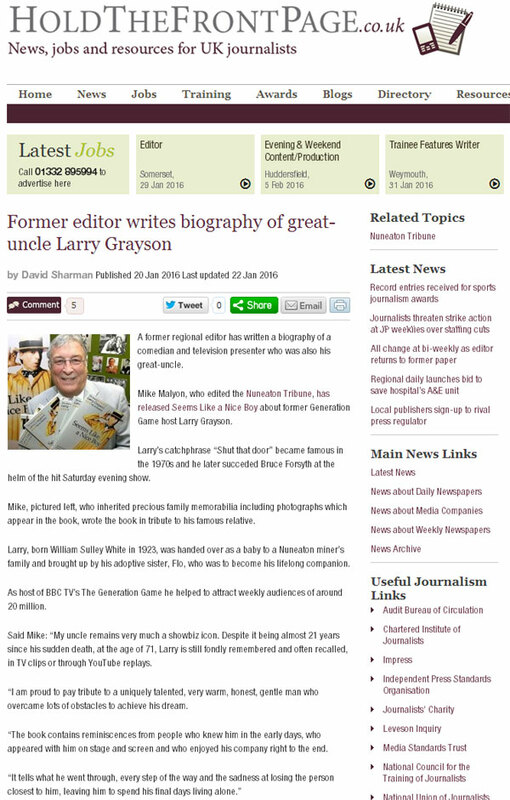 About the Author: Mike Malyon is a great nephew of William Sully White, better known as 1970s’ comedian and TV presenter, Larry Grayson. Mike first saw his uncle performing on stage around the local clubs under the name of Billy Breen. Mike then followed and shared the camp comic’s dramatic rise to stardom, when Larry topped the bill at the London Palladium, headlined sell-out shows throughout the UK, appeared on This Is Your Life and eventually hosted the chart-topping TV programme The Generation Game. Larry was adored by millions but the person who knew him best was his foster sister, friend and companion, Flo. Mike was close to both his uncle and aunt and inherited all their personal photographs, scrapbooks and memorabilia. He has also taken on the role of preserving the memory of a man whose ambition, from an early age, was to be an entertainer and who spent his life desperately seeking attention. Mike is a retired journalist who lives in the Nuneaton area. I was a young agent in the late ‘60s helping my partner, the legendary Billy Marsh, manage Morecambe and Wise, Bruce Forsyth, Frankie Vaughan, Harry Worth, Tony Hancock and more. I built up a client list of my own and was always on the lookout for new talent. Through my client, Leslie Crowther, I got to know Peter Dulay who was writing gags and sketches for the Crackerjack star. Peter rang me one day to ask me to see a comedian he had signed as manager. That was the good news. The bad news was he was appearing very late one Sunday night at the Stork Club, in London’s West End —what an end to the week! But I respected Peter's judgement and trudged up west. To my surprise, the cabaret was a drag show, and Peter's discovery was given a couple of short spots to enable the ‘ladies’ to change costume. It didn't matter. After two minutes I knew Peter had found a rare talent. I met Larry after the show and could see that he lived for showbiz and had taken many false dawns in his stride. I signed up as his agent the next morning and set to work. Billy and I were planning variety weeks at the Palladium and I persuaded him to give Larry a ten minute slot on a bill. I was worried ahead of opening that Larry's innuendo and double (single?) entendres might get him the wrong reputation so we carefully edited his material. He was an instant hit with the audience. They loved him, the chair, Everard Farquharson, the marrow et al. He never looked back. TV spots followed and the rest is history. I adored Larry. His stories of variety, his generous temperament, his surprise at his 'late' success and his appreciation marked him out as special, and I am not in the least surprised, that as the public got to know him as I did, they took him to their heart. A true original, Larry earned his place in the entertainment hall of fame the hard way. What a grey day when he left us. 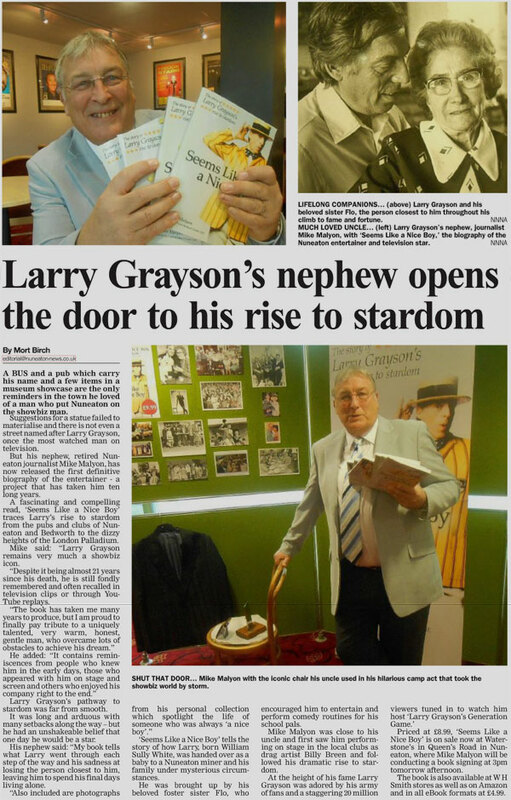 The true story behind the life and rise to fame of The Generation Game favourite Larry Grayson is revealed in a new book by his great-nephew and journalist Mike Malyon. 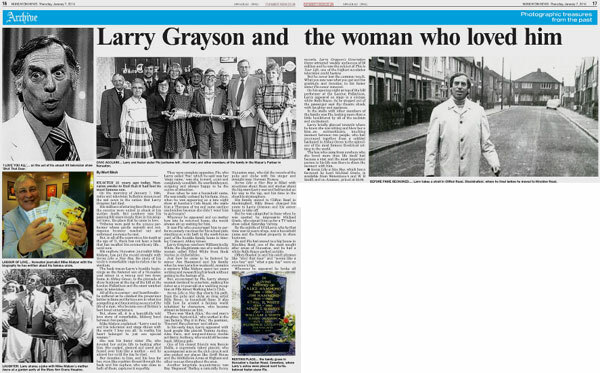 The former Nuneaton Tribune editor, who inherited precious family memorabilia, including photographs which appear in the book, has written Seems Like a Nice Boy as a tribute to his famous relative. His catchphrase “Shut that door” was a household phrase in the 1970s but it took the popular frontman years to gain national recognition. Handed over as a baby to a Nuneaton miner’s family, Larry was brought up by his beloved foster sister, Flo, who was to become his lifelong companion. He grew up entertaining people around him and loved the attention. Performing under the stage name Billy Breen and incorporating a drag act into his stage routine, he worked the midlands club circuit before eventually being spotted by a big-time agent who set him on the road to stardom. As host of BBC TV’s The Generation Game he helped to attract weekly audiences of around 20 million, achieving the level of fame he had always dreamed of. He knew he had made it when he became the guest on This Is Your Life. Author Mike Malyon said: “My uncle remains very much a showbiz icon. “Despite it being almost 21 years since his sudden death, at the age of 71, Larry is still fondly remembered and often recalled, in TV clips or through YouTube replays. “I am proud to pay tribute to a uniquely talented, very warm, honest, gentle man who overcame lots of obstacles to achieve his dream. “The book contains reminiscences from people who knew him in the early days, who appeared with him on stage and screen and who enjoyed his company right to the end. With a foreword by Lord Michael Grade CBE, the book is published by Apex Publishing, priced £9.99 and is available in bookshops and from Amazon. 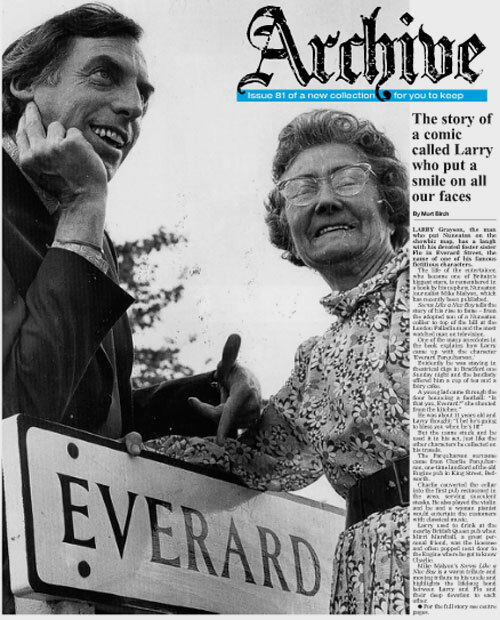 LARRY Grayson, the man who put Nuneaton on the showbiz map, has a laugh with his devoted foster sister Flo in Everard Street, the name of one of his famous fictitious characters. 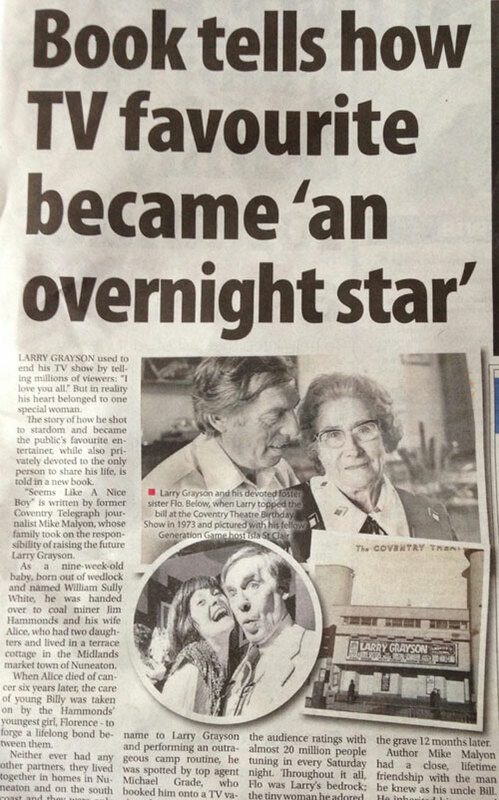 The life of the entertainer, who became one of Britain's biggest stars, is remembered in a book by his nephew, Nuneaton journalist Mike Malyon, which has recently been published. Seems Like a Nice Boy tells the story of his rise to fame – from the adopted son of a Nuneaton collier to top of the bill at the London Palladium and the most watched man on television. Evidently he was staying in theatrical digs in Bradford one Sunday night and the landlady offered him a cup of tea and a fairy cake. A young lad came through the door bouncing a football: "Is that you, Everard?" she shouted from the kitchen." He was about 11 years old and Larry thought: "I bet he's going to bless you when he's 18!" But the name stuck and he used it in his act, just like the other characters he collected on his travels. The Farquharson surname came from Charlie Farquharson, one-time landlord of the old Engine pub in King Street, Bedworth. Charlie converted the cellar into the first pub restaurant in the area, serving succulent steaks. He also played the violin and he and a woman pianist would entertain the customers with classical music. Larry used to drink at the nearby British Queen pub when Mirri Marshall, a great personal friend, was the licensee and often popped next door to the Engine where he got to know Charlie. Mike Malyon's Seems Like a Nice Boy is a warm tribute and moving tribute to his uncle and highlights the lifelong bond between Larry and Flo and their deep devotion to each other. ● For the full story see centre pages. A BUS and a pub which carry his name and a few items in a museum showcase are the only reminders in the town he loved of a man who put Nuneaton on the showbiz map. Suggestions for a statue failed to materialise and there is not even a street named after Larry Grayson, once the most watched man on television. But his nephew, retired Nuneaton journalist Mike Malyon, has now released the first definitive biography of the entertainer - a project that has taken him ten long years. A fascinating and compelling read, 'Seems Like a Nice Boy' traces Larry's rise to stardom from the pubs and clubs of Nuneaton and Bedworth to the dizzy heights of the London Palladium. Mike said: "Larry Grayson remains very much a showbiz icon. "Despite it being almost 21 years since his death, he is still fondly remembered and often recalled in television clips or through YouTube replays. "The book has taken me many years to produce, but I am proud to finally pay tribute to a uniquely talented, very warm, honest, gentle man, who overcame lots of obstacles to achieve his dream." He added: "It contains reminiscences from people who knew him in the early days, those who appeared with him on stage and screen and others who enjoyed his company right to the end." Larry Grayson's pathway to stardom was far from smooth. It was long and arduous with many setbacks along the way – but he had an unshakeable belief that one day he would be a star. His nephew said: "My book tells what Larry went through each step of the way and his sadness at losing the person closest to him, leaving him to spend his final days living alone. "Also included are photographs from his personal collection which spotlight the life of someone who was always 'a nice boy'." 'Seems Like a Nice Boy' tells the story of how Larry, born William Sully White, was handed over as a baby to a Nuneaton miner and his family under mysterious circumstances. He was brought up by his beloved foster sister Flo, who encouraged him to entertain and perform comedy routines for his school pals. Mike Malyon was close to his uncle and first saw him performing on stage in the local clubs as drag artist Billy Breen and followed his dramatic rise to stardom. Priced at £9.99, 'Seems Like a Nice Boy' is on sale now at Waterstone's in Queen's Road in Nuneaton, where Mike Malyon will be conducting a book signing at 3pm on Wednesday afternoon. The book is also available at W H Smith stores as well as on Amazon and in all eBook formats at £4.99. 22 December 2015 - Mike Malyon was interviewed on K107 FM. Mike answered questions about his book 'Seems Like a Nice Boy'. Mike was interviewed on 'The Graeme Logan Show'. 15 January 2016 - Mike Malyon was interviewed on BBC West Midlands 95.6 FM. Mike answered questions about his book 'Seems Like a Nice Boy'. 15 January 2016 - Mike Malyon was interviewed on Midlands Today. Mike answered questions about his book 'Seems Like a Nice Boy'. 16 January 2016 - Mike Malyon was interviewed on BBC Hereford and Worcester 104 FM. Mike answered questions about his book 'Seems Like a Nice Boy'. 18 January 2016 - Mike Malyon was interviewed on Wolverhampton City Radio 101.8 FM. Mike answered questions about his book 'Seems Like a Nice Boy'. 21 January 2016 - Mike Malyon was interviewed on BBC Coventry & Warwickshire 94.8 FM. Mike answered questions about his book 'Seems Like a Nice Boy'. 29 June 2016 - Mike Malyon was interviewed on Talk Radio Europe. Mike answered questions about his book 'Seems Like a Nice Boy'. Mike was interviewed on the drive time show, 'The Daily with Sid Olivera'. 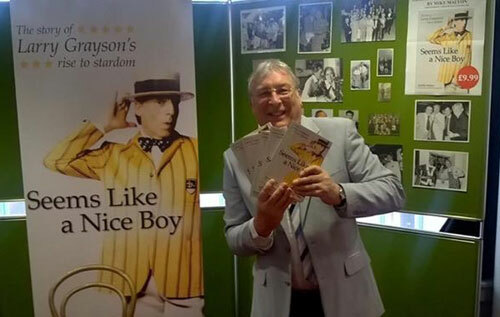 18 December 2015 - Mike Malyon held his book launch at the Civic Hall, Bedworth. 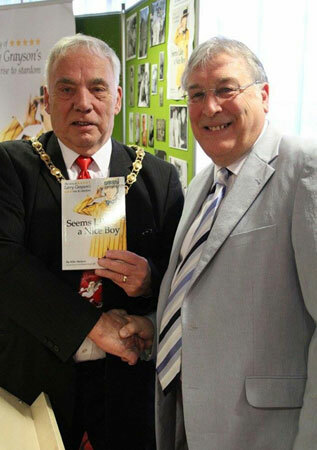 The Mayor of Nuneaton and Bedworth (Councillor Barry Longden) attended.